If you are trying to drop a dress size or two, eating less seems like the simplest solution. But be careful, you might wind up losing more than a bit of weight! Undereating is when you restrict the amount of food you eat. This might be a conscious decision to lose weight, following a diet trend, or it could be part of an eating disorder. It is also possible to undereat without realising it. For example, if you become engrossed in studying, working or even a hobby you enjoy, you might miss meals. Or, if you have a fast metabolism or do extremely high levels of physical activity, you need to have enough food to keep up with what your body needs. 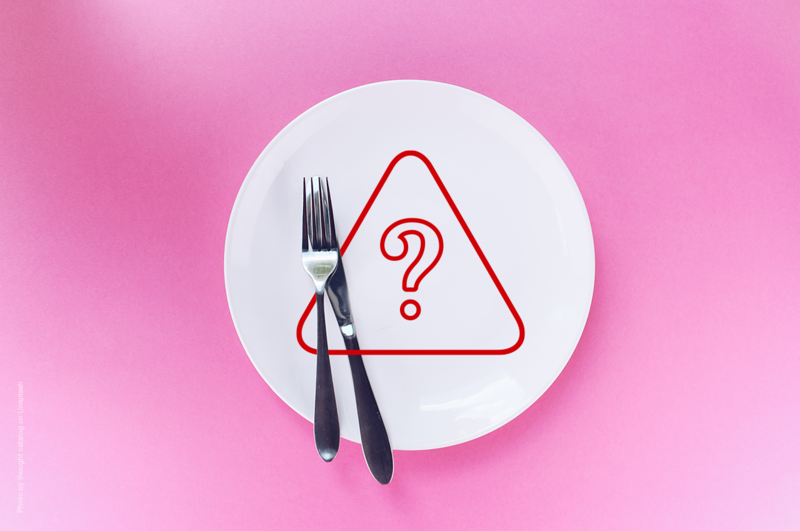 Undereating may seem harmless, but over time, it can lead to several health risks like bone fractures, infertility, a weakened immune system, malnutrition, anaemia and chronic fatigue. Let’s find out if you’re undereating and what to do about it. Calories can be compared to the charge in batteries. These are units of energy your body uses to function effectively. Calories come from the foods you eat and when you don’t get enough calories, you’re bound to be exhausted, simply because you lack enough energy for normal activities. The number of calories you need within a 24-hour period is called your resting metabolic rate. The general metabolic rate for most people is higher than one thousand calories a day. The more physical activity you do, the higher your calorie needs. So, if you’re always tired, it’s possible that you’re probably not eating enough calories to sustain you. If you’re ravenous most of the time, you’re probably not eating enough. When you undereat, the levels of hormones that control hunger and fullness are changed. These hormones are called leptin and ghrelin. An increased appetite or food cravings is a response to the change in these hormones. Reducing the amount of food you eat can also increase the hormone cortisol. Cortisol is linked to increased hunger because your body sends signals that you should eat to avoid starvation. Read Can diet drinks make you fat? If small, daily irritations like missing the bus easily set you off, you may need to pile up your plate. Eating enough of the right foods provides your body with energy-boosting nutrients which are converted into blood glucose. When your body doesn’t get the glucose it needs, it panics and feels threatened. Because your body feels like it’s experiencing a life-threatening situation, it won’t take much for something to upset or irritate you. If you’re sniffling more than usual, your diet is probably to blame. Vitamins, minerals and nutrients help you maintain a healthy immune system. When your immune system isn’t at its best, you become sick more easily, and you’re also more likely to stay sick for longer. If you think you are undereating, try to increase your daily calories to reach a healthy weight. The minimum number of calories a day is 1 200 and should come from healthy foods. Eat meals high in protein like eggs, almonds, chicken, oats and cottage cheese. Fill up on complex carbs like peas and beans. If you struggle to eat big meals, opt for five to six smaller meals throughout the day. Bone up with good fats like nuts and avocado. Focus on a variety of nutritious vegetables. Do strength training exercises. These bulk up your muscles and add to your weight. Add toppings (like a sprinkle of cheese) to your foods to up your calorie intake. If you think that you may have an eating disorder, don’t delay in asking for help! Talk to your doctor about what support is available to help you.